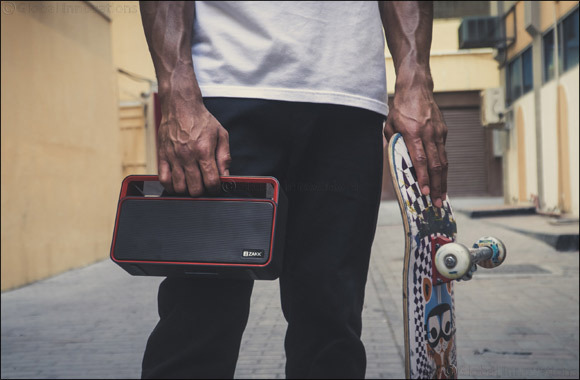 DUBAI – April 08, 2018: ZAKK, a global lifestyle brand owned by Dubai based Kamon International, launched the stylish ZAKK Party Bluetooth speaker. The state-of-the-art Bluetooth speakers are tailored for celebrating parties and special occasions with its booming and precise sound quality. The Bluetooth Party Speaker features an attractive design with a full-range system to deliver powerful sound with an advanced Bluetooth operating system for wireless connectivity. “ZAKK aims to enhance the experiences and lives of people from multi-cultural backgrounds. We make the best use of technology and provide unique products to customers. Our product portfolio has an extremely wide range and we have now added another product into the mix. We focus on offering a variety of lifestyle products that are of high quality, catering to different needs of people in an urban environment and still are affordable in price. We make our products available to the customers in the most budget friendly way,” Mr. Saini further said. The ZAKK Party looks funky with its black, silver and red shades and is designed to fit the sleek speaker category while not compromising on the product quality. The ZAKK Party is made to enhance the user’s convenience and comfort level with an easy-grip handle that allows the users to take it anywhere. It connects wirelessly to smartphones and tablets for streaming music instantly. The 10W speaker system packs a powerful punch and has a built-in microphone providing more than seven hours of music time.